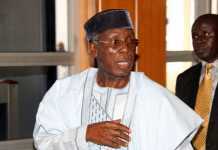 OrderPaperToday – When Former Senate Leader, Abdullahi Wali, appointed Aminu Tambuwal as his legislative aide many years ago, little did he know he had given a protege a stairway to the top. From that humble beginning, Tambuwal has had the privilege of heading legislative and executive arms of government in Nigeria, a rare privilege in Nigeria’s elite political class. Indeed, Tambuwal has turned out to be a senior member of this class having won his governorship re-election penultimate Saturday in the supplementary election by a very slim margin. But who is Aminu Waziri Tambuwal? 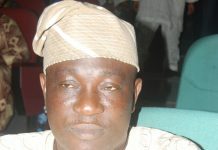 Aminu was born on the 10th of January 1966 in Tambuwal, Sokoto State. He had his early education at the Tambuwal Primary School from 1972 -1979 and Government Teachers College Dogon-Daji where he obtained his Teachers Grade 11 Certificate in 1984. Tambuwal then got admission to Usman Danfodio University to Study Law, graduating in 1991 with an LL.B (Hons). In 1992, after successfully completing his one year mandatory studies at the Nigeria Law School Lagos, he was called to the Nigerian Bar. Tambuwal has also acquired several certificates from some of the most prestigious institutions around the globe: Telecoms Regulatory Master Class–Bath UK, 2004; Lawmaking for the Communications Sectors –BMIT, Johannesburg, South Africa, 2004; Regulating a Competitive Industry-UK, Brussels, 2005; Tulane University – International Legislative Drafting, 2005; Stanford Graduate School of Business – Influence and Negotiation, 2008 and KSG Harvard – Infrastructure in Market Economy. He passion to serve prompted him to contest for the Public Relations Officer post of the Nigerian Bar Association (NBA), Sokoto in 1997. 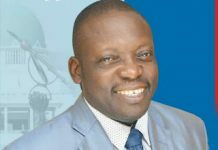 Subsequently, he was to serve variously as the association’s Assistant National Financial Secretary, 1st National Secretary, and Secretary of the Human Rights Committee, between the years 1998 and 2002. Aminu Tambuwal started at the humble beginning of parliamentary service: first, as Personal Assistant on Legislative Affairs to Senator Abdullahi Wali, the then Senate Leader. 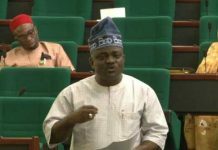 In 2003, he contested for the House of Representatives seat of his constituency and won on the platform of the defunct All Nigeria People’s Party (ANPP). He contested and won re-election for two consecutive terms from 2007-2015 on the platform of the Peoples Democratic Party (PDP). 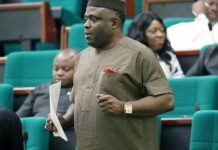 In the 6th assembly, he emerged a principal officer as deputy whip of the House and by the succeeding tenure, he rose to become Speaker in very historical circumstances some consider as controversial. 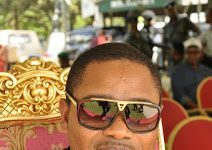 But by 2015, he stirred another controversy by becoming the first speaker to defect from the party that brought him to office when he joined the then opposition All Progressives Congress (APC). Upon leaving the ruling party in 2014, Tambuwal and other APC Reps were locked out of the National Assembly complex on the 20th of November 2014, but to astonishment of an already stunned public, members loyal to him scaled the National Assembly gate to prevent an alleged plot to remove him from office by force. It was from the exalted position of speakership that he landed the plum job of governor of Sokoto, a direct switch from legislative to executive office. At every assembly that Tambuwal stayed in the House, he served as a member of the body of Principal Officers. Despite being a newbie in the House, Tambuwal served as the Minority Leader of the House of Representatives. In that capacity, he led the ANPP caucus in the House. When he followed his political mentor at the time, Aliyu Wamakko from the ANPP to the PDP, he was rewarded with the office of Deputy Chief Whip of the House by his peers. By this time, he had garnered considerable legislative experience, vast array of friends in different parties and sound political judgment. 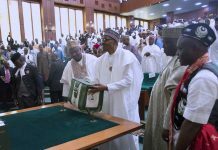 In 2011, following the tumultuous tenure of Speaker Dimeji Bankole, the members of the House across party lines rejected the anointed candidate of the PDP and supported Tambuwal as the Speaker of the House. Despite his controversial emergence which greatly offended the PDP and the presidency, Tambuwal’s tenure witnessed stability and solid achievements. In 2009, he Served as chairman of the ad-hoc committee that reviewed the report of the controversial power probe committee headed by Mr. Ndudi Elumelu, Tambuwal’s committee rejected 84 out of the 88 recommendations by the first committee. 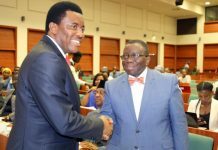 He was leader of the Nigerian delegation to African, Caribbean, Pacific & European Union Parliamentary Assembly (ACP-EU) and served as Vice-Chairman, Economic Committee ACP-EU, held in Prague, Czech Republic in April 2009. Following his defection to the APC, Tambuwal contested for Sokoto State governorship election. On April 11, 2015, he was elected Governor of Sokoto State under APC platform having polled 647,609 votes ahead of Sen. Wali, his one-time mentor and benefactor who flew the PDP flag at the election. Wali scored 269,074 votes. 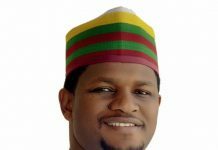 He parted ways with APC, Wamakko and the Buhari establishment in August 2018 and sought the presidential ticket of the PDP at the Port Harcourt primary in December of same year. He lost to the eventual flag-bearer, Abubakar Atiku with his impressive position of runner-up, defeating high calibre contenders like Senate President Bukola Saraki, former Senate President, David Mark, and Sen. Rabiu Kwankwaso, among others. Tambuwal shook off the experience pretty quickly and reverted to seek a second term as governor on the PDP platform. Governor Tambuwal and his erstwhile mentor and predecessor in office, Aliyu Wamakko engaged in battle of supremacy for the control of the state. 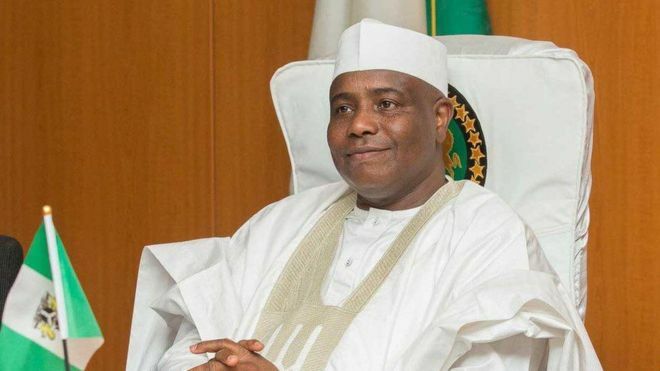 Tambuwal however prevailed at the first ballot on March 9, 2019 which was declared inconclusive by the Independent National Electoral Commission (INEC). But at the rerun poll, Tambuwal garnered 22,444 votes while his erstwhile deputy and candidate of the APC scored 25,515 in the 135 polling units where supplementary elections were conduced. 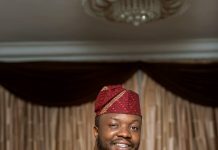 But the governor still maintained his lead from the first poll and in total, polled 512,002 votes to defeat his closest rival, Ahmad Aliyu, who polled 511,660 votes. In the course of his public life, Tambuwal has garnered several recognition and awards including the following: Commander of the Federal Republic (CFR); Abdullahi Gwandu Leadership Award by Gwandu Emirate Council, Kebbi State; Leadership Newspaper’s Politician of the Year 2011; Sun Newspaper’s Man of the Year 2012; Best Performing Governor in Education in Nigeria by BUSINESS DAY and THE AUTHORITY Newspapers (2017). The awards also include: Honorary Doctorate Degree in Law from his alumnus, Usmanu Danfodio University, Sokoto, December 2012; Honorary Doctorate Degree by the Enugu State University of Science and Technology, Enugu, 2013; Sokoto State Government Merit Award, 2012; Prise La Foundation 2013 by Crans Montana Forum on Africa and South-South Cooperation, Brussels, 2012; Zik Leadership Award on Public Service, among others. Being a pan Nigerian politician, Tambuwal has been bestowed with different traditional titles from different kingdoms across the country: he is the Osagie of Opoji Kingdom in Edo State, Obong Ufan of Akwa Ibom, Udonyi Oro of Oron nation also in Akwa Ibom, Bobagunwa of Ekiti in Ekiti State and Maidawakin Gashaka in Taraba state. On Saturday, September 27, 2014, he was turbaned the Mutawalle of Sokoto Caliphate by Sultan Muhammad Sa’ad Abubakar III.